On Super Bowl Sunday, I wasn’t at all focused on the game. First, I’m not a fan of the teams playing, and second, I’m not really into sports. What I am is a fan of all the yummy food that people eat on Super Bowl Sunday, but it’s just not in the cards for this year. I’ve got some serious goals in sight, so I decided to just forego celebrations this year. After all, me and a crock of queso are a dangerous combination. Instead, I cleaned out (more) closets, did all the laundry, and went to bed with the sweet satisfaction of knowing that I didn’t overeat. Hallelujah! I also went to bed that night knowing that my tastebuds were beyond happy, and excited about sharing this recipe with all of y’all. This dish BEYOND hit the spot. Whether Super Bowl Sunday or an average Tuesday, I highly recommend trying it out. 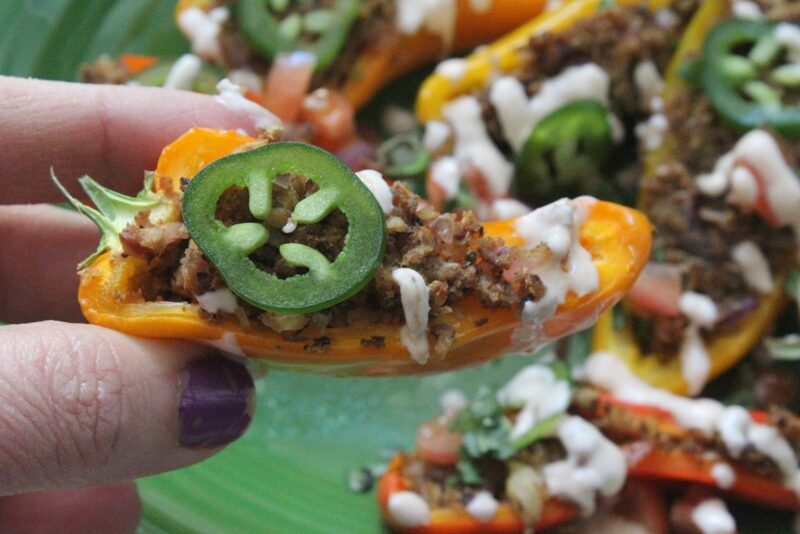 Spicy, flavorful, and creative, it’s reminiscent of nachos. You’ll find it hard to believe that this dish started its day as the Turkey Burger. 2. Remove the turkey burger from the packaging, separating it from the bun. Place on a microwave safe plate and cook for 90 seconds. 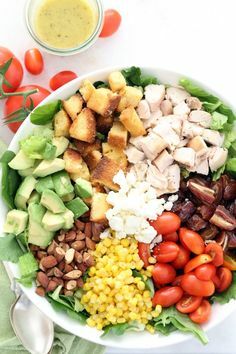 Set bun aside and enjoy as toast or make into croutons for a side salad. 3. 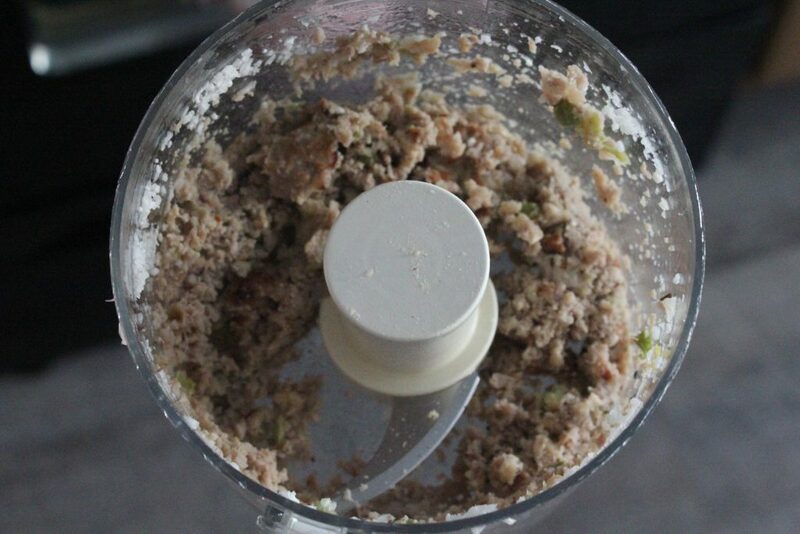 Place your turkey burger in a food processor to crumble. Pulse until a fine taco meat texture. 4. Prepare a skillet with cooking spray at medium heat. 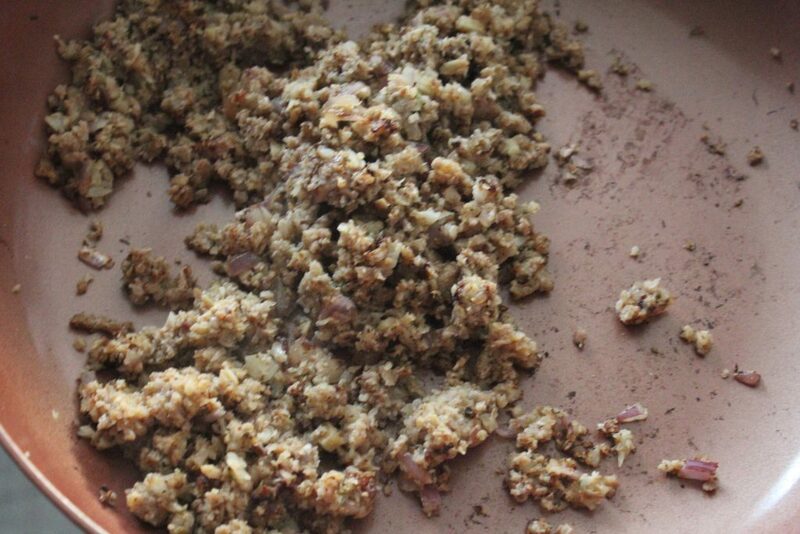 Add turkey burger, garlic, onion, and cauliflower. Cook for 4-5 minutes, stirring frequently. Sprinkle with 1 tsp. Mexican seasoning (I used Penzey’s Fajita Seasoning) and water. Stir to combine and saute until the water evaporates. Taste the mixture to make sure it has enough flavor; adjust as needed. 5. 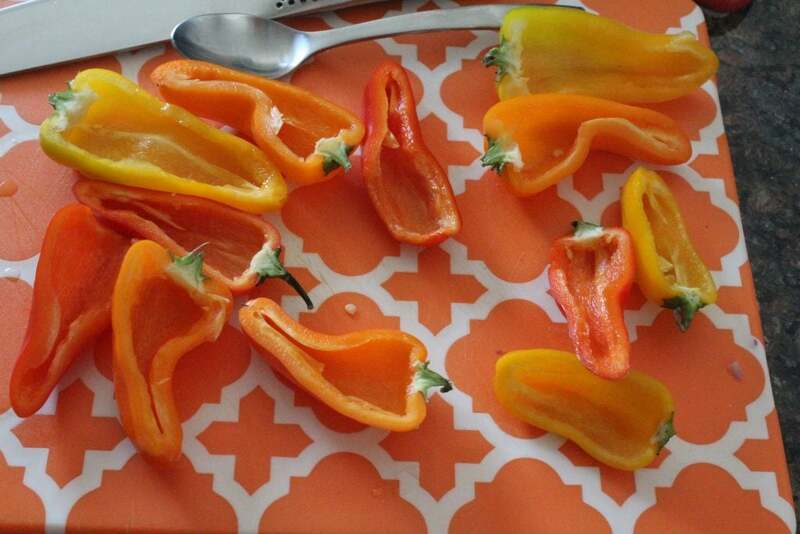 Slice your peppers in half lengthwise and scoop out the seeds and ribs of the peppers. 6. 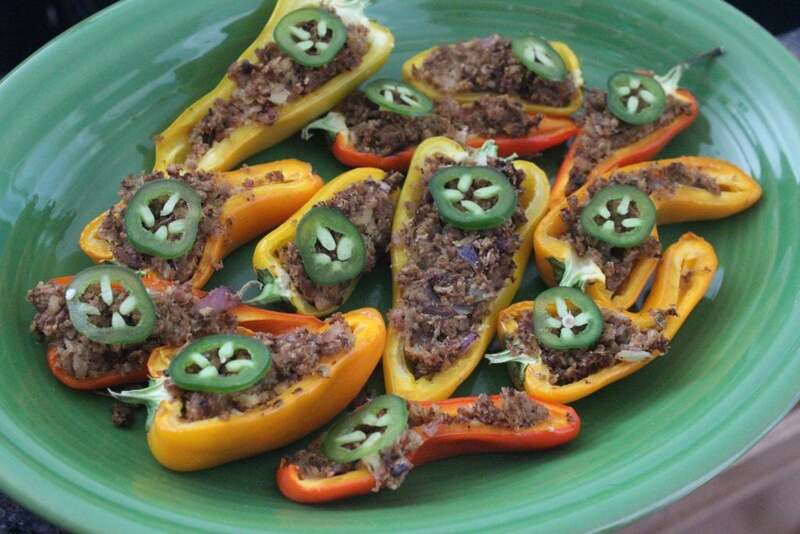 Fill each pepper with the taco mixture and move to a baking sheet prepared with cooking spray. 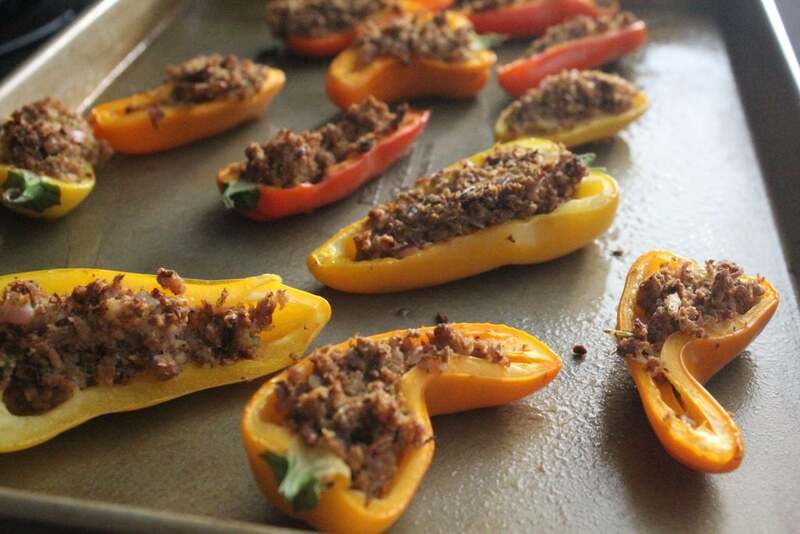 Place in the oven and bake for 15 minutes until peppers are tender. 7. 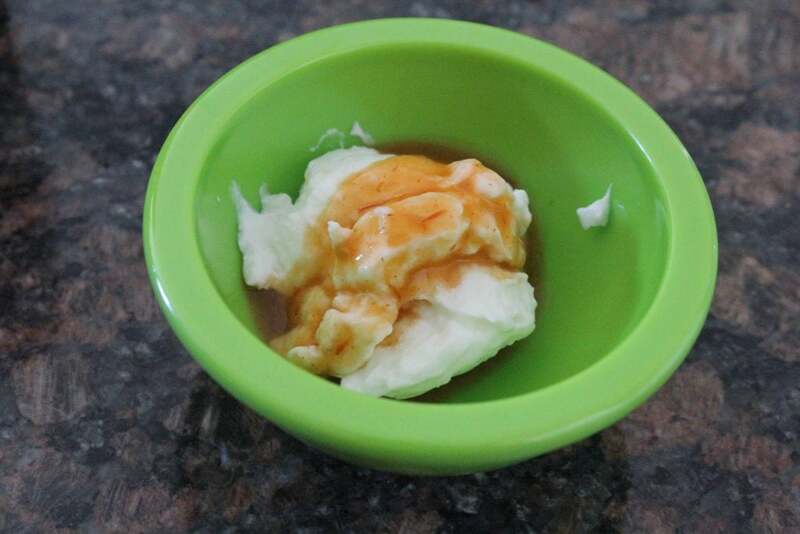 Meanwhile, combine the Greek yogurt and hot sauce in a small bowl. Transfer to a small plastic snack bag for drizzling. Taste to assure it has the right level of zip! 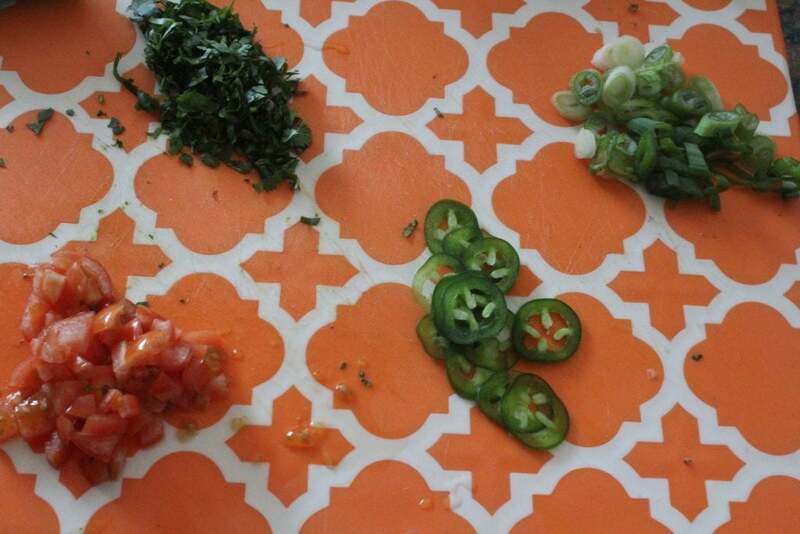 Add more hot sauce if needed. 8. 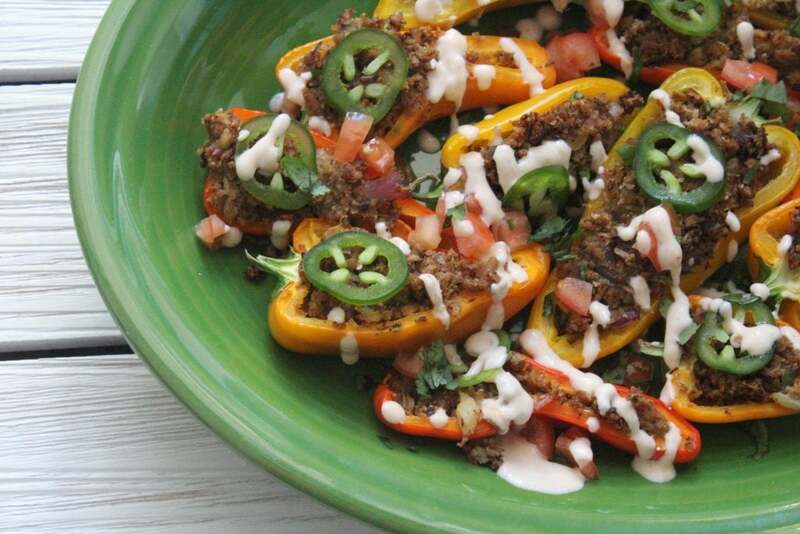 Prepare your toppings while your peppers cook. 9. 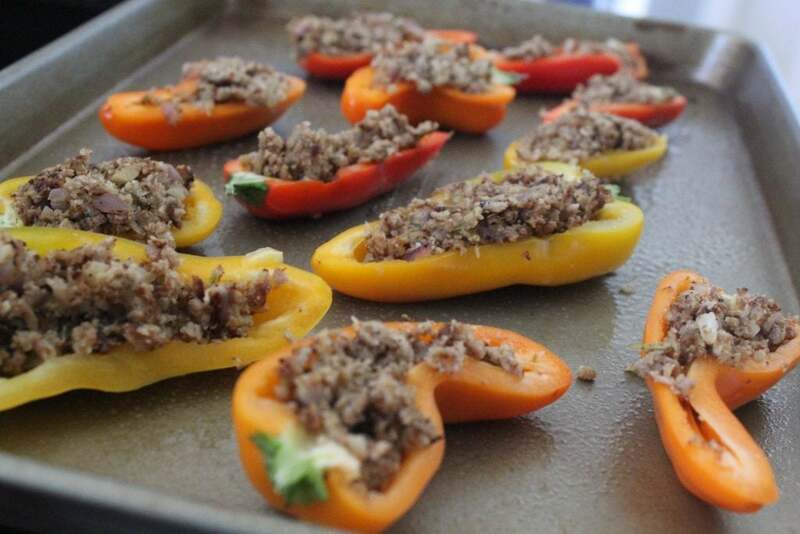 Remote the peppers from the pan and to a serving plate. 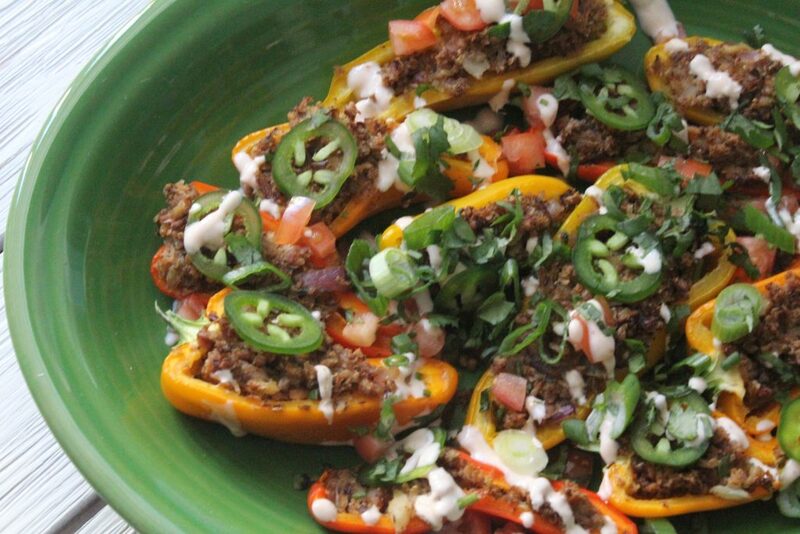 Top each one with a jalapeño, sprinkling with tomatoes and scallions. 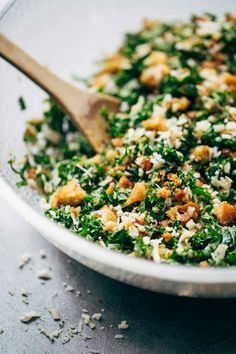 Drizzle with Greek yogurt mixture and garnish with cilantro.